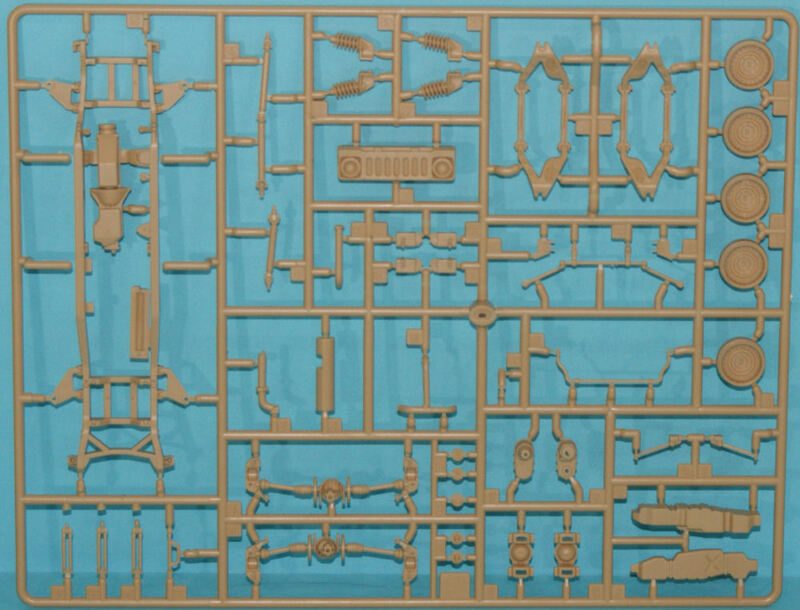 First kit of the Humvee variant, nice details for the price! AM General won the program and has produced over 190,000 vehicles in over 16 variants since the mid-1980s. Early versions of the Humvee were powered by 6.2 liter diesel engines while newer types received the 6.5 liter diesel. All Humvees are equipped with automatic transmissions to simplify driver workload. The M1113 Expanded Capability Vehicle was the first variant that was built upon an improved chassis and powertrain that allowed heavier payloads including add-on armor. The M1114 is built upon the ECV chassis and makes good use of that enhanced payload capability with the addition of more armor for the crew cab, armored turret, and built-in air conditioning. The new armor can protect against armor-piercing 7.62mm round and 12lb mine blasts. The M1151 Enhanced Armament Carrier is the current variant of the Humvee operating in theater. Also built upon the ECV chassis, the M1151 has a more powerful diesel engine and stronger suspension to support the additional weight, the capability for modular armor that can be added and removed as required for the threat level, and like the updated M1113, it also has air conditioning to help keep crews more comfortable during desert operations. Here is the first M1151 to be released in 1/35 scale and it is from Academy. 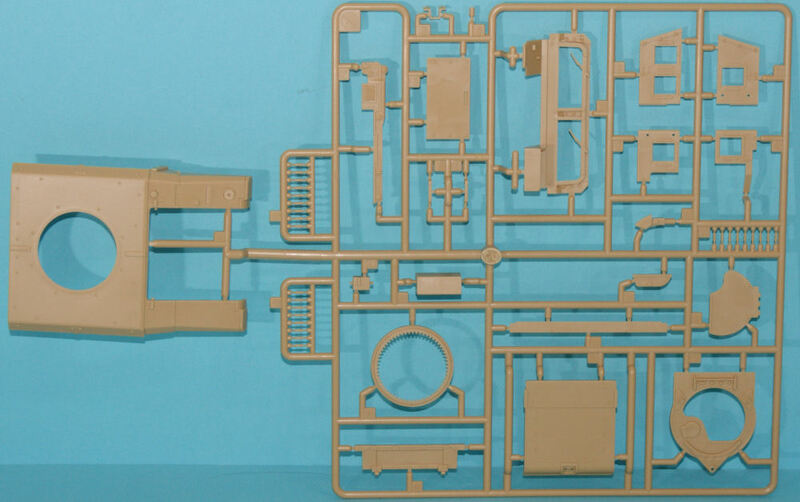 I wasn't sure how this kit would stand up to the recently released Bronco 1/35 M1114 kit (look here), in contrast to the simpler M998 variants that also make up Academy's portfolio of kits (like this one). 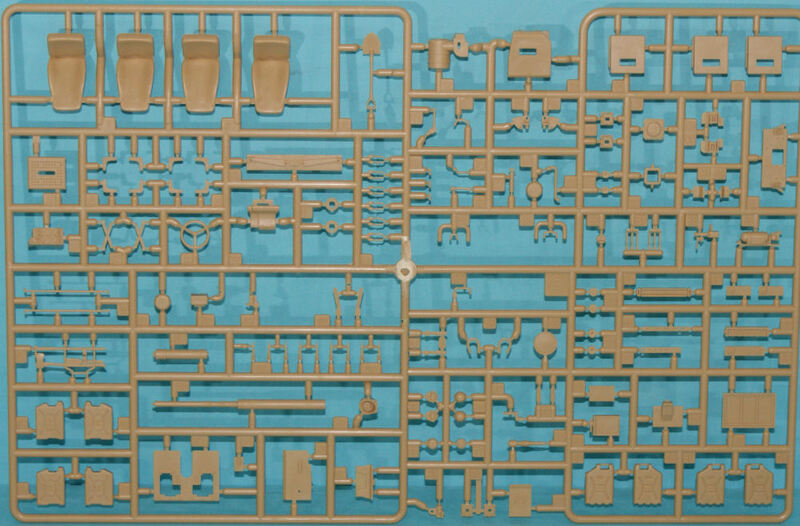 The kit is molded in tan styrene and presented on seven parts trees plus one tree of clear parts and ten tire halves molded in black. 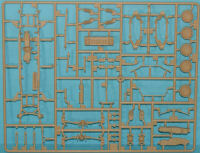 One small fret of photo-etched parts round out this kit. 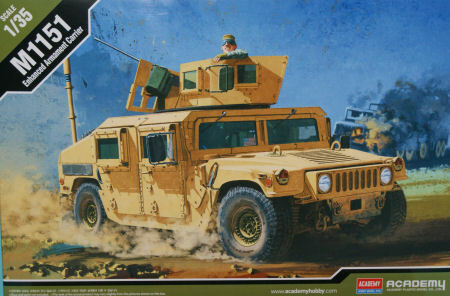 In the Bronco review, I contrasted that kit against the best Humvee kit available up until that time - the Tamiya kit. 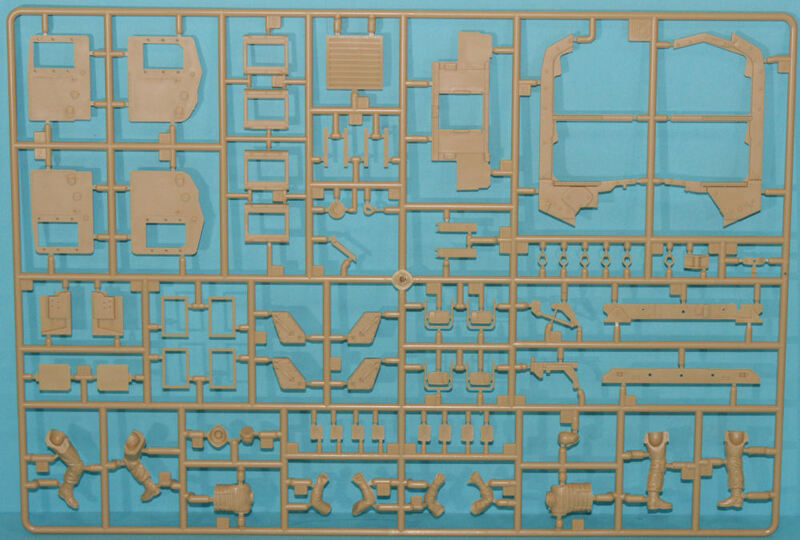 In that review, I noted that while the Tamiya kit was the nicest kit of the earlier generation of Humvees, the interior lacked many of the details found in service vehicles. In contrast, the Bronco kit offered just about everything you could think of for a contemporary off-road warrior. So how does the Academy kit stack up to the Bronco model? Two-piece wheels (not a big fan of these, but the tread is great! So the kit has most of the features found in the Bronco kit, but it doesn't offer much of any detail under the hood nor does it provide crew weapons or gear to go with the figures. Also, for an armament carrier, there aren't any stowed weapons nor ammunition for the mounted M2. Markings are provided for an unidentified M1151 in desert tan and another unidentified vehicle in NATO tri-color camouflage. This is a great looking kit and while it doesn't have as many details/options in the box as the Bronco kit, it also doesn't have the Bronco price tag. At $44.00 USD suggested retail price, this kit is almost half the price of the Bronco kit and street prices will be lower still.